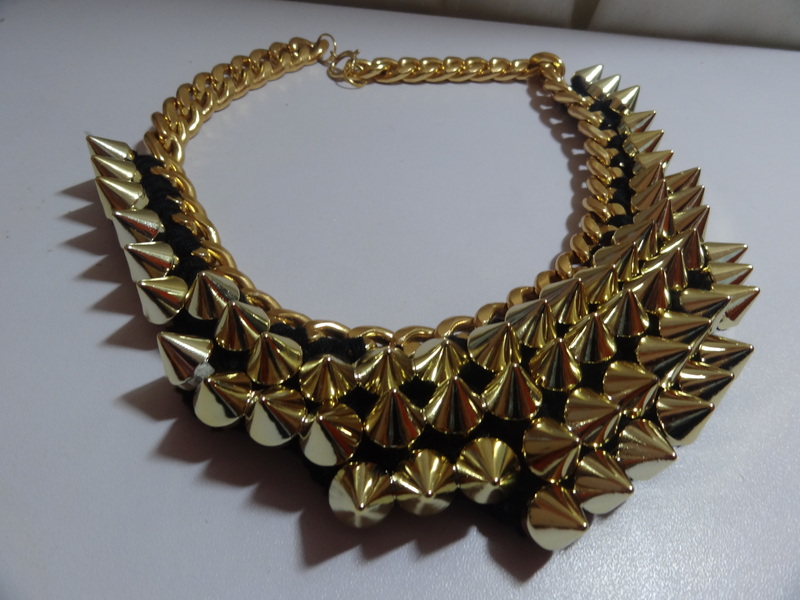 I really like big and exuberant necklaces, especially during summer, firstly because of the type of shirts/tops I use and secondly because most of the times I’m way too lazy to wear bracelets, rings or any type of jewellery really and having such a big necklace is, most of the time, enough to make an outfit look good. 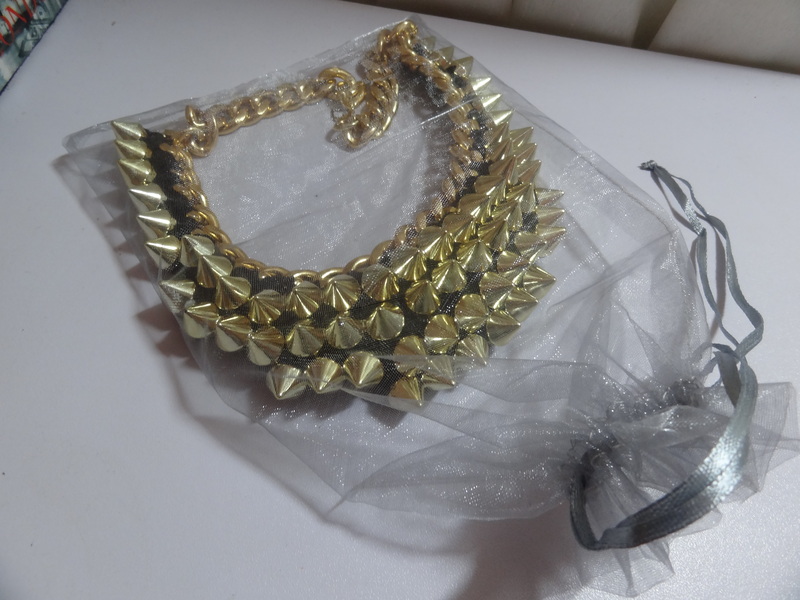 This entry was posted in Fashion, Shopping, Trends and tagged big necklace, fashion, gold, jewellery, necklace, spikes, studs. Bookmark the permalink.